Welcome to the home of the League of Legendary Leaders! The Defenders are the heart of the League of Legendary Leaders. At this level you will get access to a tool that is highly underutilized (if used at all) by leaders today. This tool has the ability to +12x your current potential over the next year! You will get access to this tool 6x a week, as well as instructions on how to utilize it to it's maximum potential! Unlock your Heroic Potential, Develop into a Legendary Leader, and EMERGE to Become who You were Meant to Be! The best Leaders ally and align themselves with other great leaders. At this level, you will gain access to the League of Legendary Leaders group where you will be able to learn from other great leaders, get help on your struggles, and connect with other amazing leaders like yourself. And no, this is not a Facebook or LinkedIn group. We care too much about protecting your information to do that. That is why our group is hosted on a secure platform so that your information is safe, and which can be accessed via a mobile or desktop app so that you won't have to be distracted by social media notifications or emails. Along with this, we will display your name on our website so that others can see the dedication you have to becoming a Legendary Leader, as well as see how you impact the world for the better! Every great Leader needs continual development, and Delta Leaders will receive a Flash Drive every month with the previous month's webinars that the League of Legendary Leaders host, which will not be available anywhere else. The webinar's content are guided by the Gamma Leaders and above as they currently need. Plus, you will not only have your name on the website, but we will feature a picture of you so others can see the face behind the name, and so you can be recognized for the contributions you are making in the world! As a Gamma Leader, you will get live access to one of the webinars that the League of Legendary Leaders host each month. Webinars are guided by the needs of the League, so you will get access to vote on the content of the webinar. This also will give you direct monthly access to Cody Dakota during Q&A sessions so you can get your leadership questions answered! 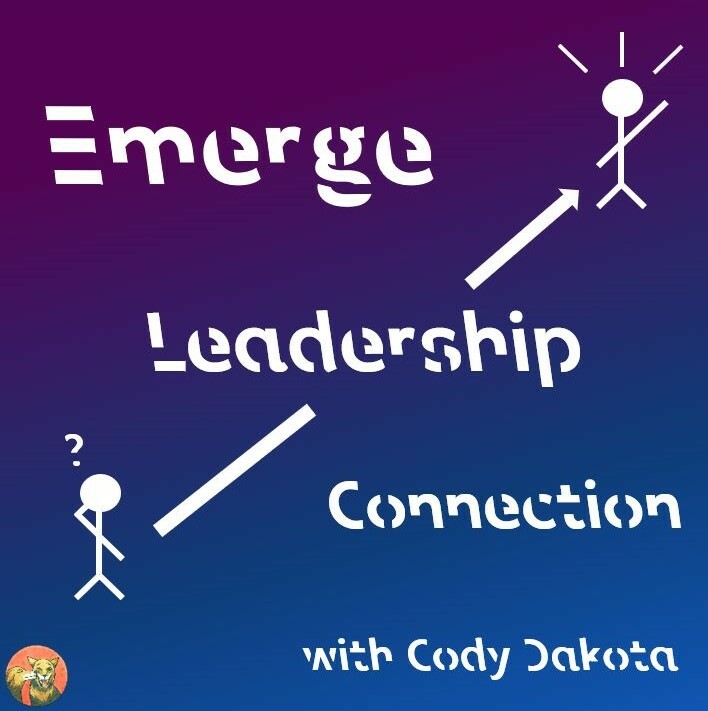 Along with this, Cody Dakota will give you a verbal shout-out on at least 1 episode of the Emerge Leadership Connection every month to recognize you for your dedication to developing into a Legendary Leader and because of the impact you are creating in the world! Getting monthly access is great, but more consistency leads to greater results. As a Beta Leader, you will get weekly access to webinars, and with that weekly access to Q&A sessions with Cody Dakota. This consistent development will give you the material you need to quickly unlock your Heroic Potential, develop into a Legendary Leader, and EMERGE into who you were meant to be! One of the greatest forces a Leader can participate in is a Mastermind. First coined by Napoleon Hill, a Mastermind is a small group of people who are dedicated to achieving their goals, who help each other figure out how to get to those goals more quickly and hold each other accountable to get there. Cody Dakota leads highly exclusive Mastermind groups which include him, you, and up to 7 other leaders who are just as dedicated to their success as you. Each week, two members of the Mastermind will go in depth into the successes and challenges they are currently facing. They will then get insights from the rest of the group, including Cody Dakota, about how to get greater successes, how to overcome the challenges, observations on potential pitfalls that may arise, and perhaps learn about opportunities that may not have been utilized. Non-Disclosure Agreements must be signed before participation is allowed. Access to these groups is extremely limited, and membership is not guaranteed. If you do not participate, if you do not give insights to the group, if you are hostile to members of the group, and if you do not make progress toward your goals, your membership may be revoked. If you are not dedicated to reaching your Heroic Potential, don't want to help others reach their Heroic Potential, and are not interested in truly becoming a Legendary Leader, than this will not be for you. This group is designed for leaders who Persevere, maintain Integrity, show up with Excellence, demonstrate Timeliness, and show they truly have Faith in themselves and others. The limited availability and size of the groups are designed to ensure this standard is lived up to, and measures will be taken to ensure this is maintained. Welcome to the League of Legendary Leaders, where we are here to help YOU unlock your Heroic Potential, develop into a Legendary Leader, and become who you were MEANT TO BE! Our goal is to create content to help guide you on your journey to become a Legendary Leader! We know who you are capable of becoming, and our goal is to give you the pieces to help give you the edge to achieve that vision of yourself that you've always known you could be, but haven't yet become, so that you can become a Legendary Leader. NOW is the time to act, and start working toward that vision. Also, by joining the League of Legendary Leaders, you are helping some AMAZING non-profit causes! These causes are currently working towards creating a better future for generations to come! One person alone can accomplish good things, but it takes a LEAGUE to accomplish LEGENDARY things! Join the League TODAY, and start your journey, EMERGE and become who you were meant to be! If you become a patron to Emerge Leadership Connection with Cody Dakota, you’ll immediately get access to as many as 41 patron-only posts. With the Emerge Leadership Connection Podcast, our goal is to create a movement of Legendary Leaders who go on to accomplish amazing things that truly is able to impact the world! But a movement is something that requires funding. This goal is a small one, but is the first domino needed to begin to create the major changes that we want to accomplish! Join the Movement, Join the Family, Join the League of Legendary Leaders, EMERGE and become who you were meant to be! At this level, we will be raising over $1,000,000 per year to go to various non-profits as a League to change the world for the better. This is where we need to get to in order to begin to truly consider ourselves Legendary Leaders. Join the League, spread the word, develop yourself, and find others who want to become Legendary Leaders, so we can truly make a lasting impact in the world, and design a greater Future!